Dilver passed away July 30, 2006. He lived Diamond Bar, California with his wife Carmen. Dilver made his home in California for over 45 years and worked for the Defense Contract Management Agency for 22 years. He also had a vacation home on the Colorado River, near Parker, and enjoyed spending much time there. John died in Albuquerque, NM, Feb. 24, 2008. John Finkelstein was a retired professor of finance at the Univ. of New Mexico. He came to Scottsdale for the past several years to attend family events at the synagogue where I am music director. Sadly, he passed away from Parkinson's disease. At the very end, it was such a shame to be at the mercy of drugs that dimmed his brilliant mind, not to mention his body. A graduate of the University of Arizona, she was active in the animal rights movement. Eddie passed away from a heart attack in 1995. My father-in-law, Bill Bourguignon, passed away November, 1998, at 57, of cancer. presently lives in Yuma. Bill has two grandchildren ages 8 and 4.
worked for American Home Furnishing until he became ill.
long as he possibly could. Deanna passed away from Alzheimer's Disease. The following is from the San Jose Mercury-News. Deanna Marie Ryan Entered into rest Campbell, CA Feb. 21, 2004. Beloved mother of Jeff (wife Janie) Ryan, Todd Ryan and Stacy (and fiance, Caesar) Ryan all of San Jose. Dearest daughter of Helene Kowaleski. Loving grandmother of Spencer Ryan and Nicholas Ryan. A native of Cleveland, Ohio, age 62 years, she attended high school in Tucson, Arizona. Interment is at Gate of Heaven Cemetery, Los Altos. brush or joined pieces of wood. on the east bay south of Oakland. Bobby died about August of 2000, in Ontario, or Vale,OR I believe. I thought I would look him up because of the last HS reunion, while I was visiting my ill father in Ontario. When I opened the paper, much to my dismay, was his obituary. When I told my brother, who managed a motel in Ontario, he said Bobby used to stay in his motel on his salesman trips. I probably have the obituary somewhere, but I can't put my finger on it. shortened her life. She sought success in helping others. of 1961 who survive her. 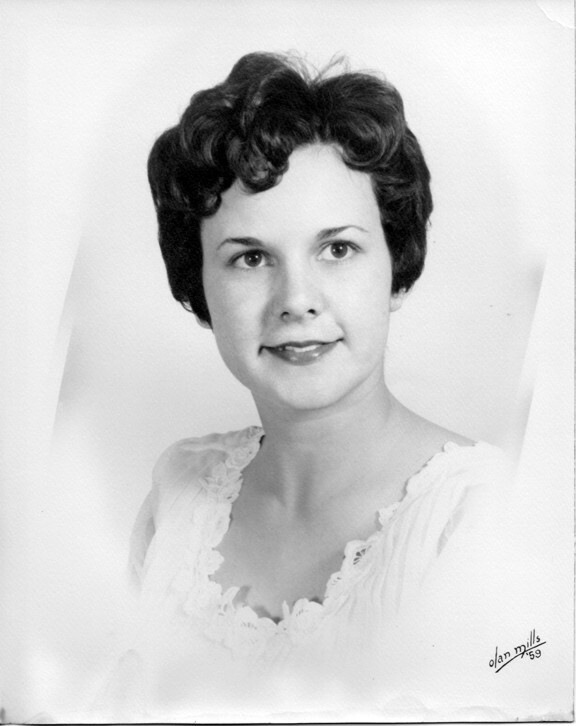 Sandra Mae Boonstra Age 65, of Tucson, passed away peacefully after a short illness on Thursday, December 14, 2006 surrounded by her family. Sandra was born in Zeeland, MI on August 3, 1941, the daughter of John and Gertrude (Post) Boonstra. She moved to Tucson in 1956 with her family. 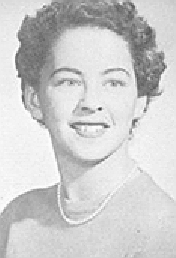 She graduated from Catalina High School in 1959 where she was sports "Girl of the Year" two years in a row. She received her Bachelor of Science degree in Education with a major in Physical Education from the University of Arizona in 1963. She taught Physical Education at Heuneme and Oxnard High Schools in Oxnard, CA for 20 years. During this time she received a Master of Arts degree in Education from Azusa Pacific College in Azusa, CA in 1978. She moved to Durango, CO in 1983 to become a co-owner of Golden Eagle Outfitters, a concession business catering to the Tamarron Resort. In December of 1984, she was in a motor vehicle accident which left her severely disabled. Biddle died July 9, 2008 in Long Beach, CA. Classmate Leslie Hunter says that Harry died in the early 60's; he was a pall bearer at the funeral. Harry was diabetic and could have died from complications of the disease. Larry passed away Dec. 9, 2002. Larry had become a successful lawyer. He had rheumatic fever as a child. Larry had pig's valves transplanted into his heart. Then two more complete heart transplants. He is survived by his wife Earline, daughter Monique and son Robert. This information was thoughtfully supplied by Larry's friend, J.R.Miller. Alan died in Tucson on Jan. 13, 2005. .
.Ron died July 8, 1988 in Tucson. Roger attended the University of Arizona and was a member of the Delta Tau Delta fraternity. He lived in Spring, Texas where he passed away August 16, 2007. Dwight attended the University of Arizona and lived in Yuma. He died Oct. 16, 2001. .
Corrinne lived in Duncan, AZ and passed away there Sept. 9, 2006. She worked over 20 years for Tucson Union School District. Corrinne was also an advocate for battered families, and a 4-H leader. She left behind a menagerie of animals including her beloved horse Piney. Beverly died 2 months after our 49th anniversary. I met Bev while I was in the Air Force stationed at Davis-Monthan, and she was still in school. We married after she graduated and had 4 children together; 3 boys and a girl. Our son, Christopher was born in Arizona, David in Florida, Brian in Alaska, and our daughter, Carol, in England. As you can see, we traveled quite a bit. Bev had to be on her own while I spent a year in Korea, and later another year in Vietnam. Bev dedicated her life to caring for her family. She was a fantastic mother and a most wonderful wife and companion. She was a friend to everyone she met, even casually in the market or post office. She suffered from asthma for most of her life, and died suddenly from a heart attack at home. She had been ill for some time. Beverly passed away Nov. 5, 2008. Nunnally Crotts, Jr., 68, passed away early March 20, 2009, after a long battle with lung cancer. His loving mother, Undine Fisher, grieves his loss. "Time moves surely on and other days will come, but nothing will ever be the same because he is gone to God." Besides his mother, "Nub" is survived by his son, David Crotts of Michigan; aunts and cousins in California and Tennessee. He is preceded in death by his sister, Gaila V. Davis, and his father, N.H. Crotts, Sr. A Tucson native, he used his entrepreneurial personality in sales living his life in Arizona, California, and Washington. Thayne passed away May 1st, 2009 at Boswell Hospital in Sun City, AZ. His heart gave out after a very long struggle to recover from illnesses since February 28. He was a long-time TV-radio engineering executive in Arizona broadcasting in Tucson, Phoenix, and Prescott. Before his retirement in 2004 he had been Telecommunications Mangager of Yavapai Community College. He leaves behind Anne, his loving wife of 41 years. HESTER, Zorah Virginia "Ginny", please join us in celebrating the life of "Ginny" who passed away suddenly on Saturday, May 8, 2010. Ginny was born July 13, 1941 in Burlington Vermont the daughter of William and Zoe Forbes. Ginny was a "people person". She enjoyed being with people and giving to others. Ginny touched many lives and her generosity will be remembered by all of us. If you needed anything or if you had a problem, Ginny would be there for you no questions asked. Ginny enjoyed sewing, knitting and crocheting. She was passionate about gardening and she was an active member of the Iris Society. Ginny and Spud were both active in the Classic Chevy Car Club. Ginny is survived by husband, James Randall "Spud: Hester; son, James Lee Hester and his wife, Dawn and sister, Nancy Forbes. Ginny will be missed by all of us. Ken passed away in Tucson, Oct. 15, 2010. He is a 2012 inductee in the Pima County Sports Hall of Fame. Patrick Harrold 69, native of Tucson. A loving husband father, grandfather and brother. Passed away peacefully on March 31, 2011. He is survived by his loving wife, Connie; daughters, Debbie (Dave) Michelle, Stacy (Jerry) and seven grandchildren; brothers, Mike (Cele) and Clint (Linda); sisters, Mary and Marcella and many more loving family and friends. Carol married my father, Larry Eastlund soon after high school. My sister and I were born a few years after that, a year and two weeks apart. Being the wife of a young lieutenant in the Air Force she was forced to move our household many times and returned to Tucson for one year between 1971 and 1972 while my father was fighting in a war on Southeast Asia. Upon his return we moved to Colorado Springs, Colorado where we finally settled for many years on a wooded plot in the Black Forest, where we kept horses and she tried to grow a garden during the six weeks that are Summer there. and school events, always ready to use her artistic skills for the common good. Every Tuesday she got together with her bridge club, a boisterous gathering of ladies from many different backgrounds who helped each other cope with their difficulties and share their joys. In 1974 she was diagnosed with breast cancer and after ten years of valiant battle she finally succumbed on May 30, 1984 at the Air Force Academy hospital. She was survived by her father, Ray Cox (d. 1993), her brother, Paul Cox who still lives in Tucson (we believe), her husband, who now lives in Boulder, Colorado, her daughter, Linda Eastlund, who lives in Portland, Oregon and me, Philip, who lives in Springfield, Oregon. 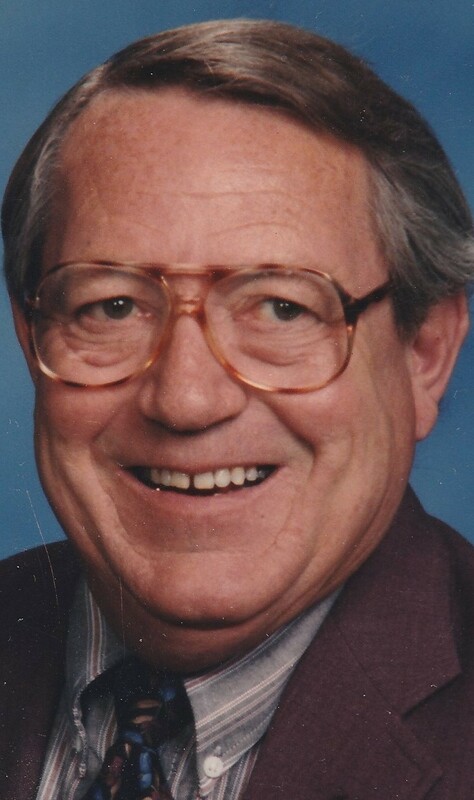 Rick Krivel born in Tucson May 18, 1941 passed away peacefully at his Tucson home on April 7, 2012 in the arms of his beloved wife of 24 years, Patty; son, Michael (Tucson); adopted daughter, Lori Bable (Tucson), Terri Metz (Columbus, IN) and his two special felines. Our hearts are broken that we have had to let him go to return to God. Rick's soul persists with God, but his spirit remains in our hearts and connects us forever. Prior to his retirement in 2006, Rick enjoyed a successful career in commercial banking including being instrumental in the growth of National Bank of Arizona and a founding member and Chairman of the Board of Alliance Bank of Arizona. Rick was a well-respected leader and manager known for empowering his employees to succeed. As Chairman for Alliance Bank, not a morning went by that he did not traverse the office saying good morning to every single employee—his respect for the inherent dignity of all people came across in all his interactions! What Rick loved most was reading, gardening, laughing and spending time with his wife, family and dear friends, celebrating life in every moment. Rick renewed his faith in 2010 when he found a home at Redeemer Lutheran Church; his faith in his Savior and Lord Jesus Christ comforted him throughout his life. Preceded in death by his parents, Fred and Rosemary Krivel; sister, Judith Davis. Susan Marie Krivel was born in Tucson June 2, 1941 and passed away peacefully on August 21, 2012 surrounded by loved ones. We trust she now dwells in the presence of God and feels loved beyond her wildest imagination. Prior to her retirement, Susan taught as a second grade teacher. She was most passionate about being a mother and is survived by her two sons, Spencer B. Krivel and Michael J. Krivel. She is also survived by her grandchildren, Madeline R. Krivel and Justin S. Krivel. Preceded in death by her parents Ira and Mary Dishinger. Editor's note: Sue was married for many years to classmate Rick Krivel. Dave passed away at his home in Flagstaff on Nov. 30, 2013. He was the retired Public Safety Director at the Tucson International Airport. Committee, U.S. House of Representatives; followed by 14 years as Assistant Director, International Affairs, U.S. Coast Guard. Gene passed away in Florida after a long battle with cancer. For more information on his life read his classmate's page written by him before his passing HERE. Nancy Jean Crumbacher peacefully died of natural causes at her home in Tucson, Arizona, during the early morning hours of September 1, 2014. She is survived by her siblings, Cheryl Howell, Doug Howell and Ronald Howell; nieces and nephews and by her daughter, Laura Crumbacher. Nancy was 73 years old. My friend Merl Bee passed away Sunday, June 21, 2015 at about 8:00 pm with his family at his bed side. Merl had heart issues, diabetes and liver problems. He is survived by his wife of 45 years Rochelle, daughter Melissa and son Michael. He had been active in his church, Scottsdale Bible Church and had a long career selling real estate. Paul died on Oct. 31, 1988. Paul was my older brother. He was at work and got up to get a drink of water and had a massive heart attack and died instantly. He was married with children. Gary passed away April 15, 2018 in Tucson. He was an auto mechanic associated with Boling's Garage at 1150 N. Alvernon. "It is with great sorrow to inform you that Jim Courson died this last year. But, I know he would have enjoyed the reunion." Jim was at our 55th reunion. He lived in Sonoita. Paul was born on July 18, 1941 and passed away on Monday, April 1, 2019. Paul was a resident of Hickory, North Carolina at the time of passing. He was a Lutheran minister. In addition to his parents, he was preceded in death by, sister, Barbara. Those left to cherish his memory are; Wife of 51 years; Shirley Christ of the home. Sons: Joshua Philip Christ and wife Elaine of Fletcher, NC. Noel Emerson Christ of Bradenton, FL. Daughter: Jacque Marie Crump and husband Lee of Hickory, NC. Brothers: Jim Christ and wife Mary of Tucson, AZ. Dan Christ and wife Karen of Northfield, MN. Sister: Diane Lasky and husband Frank of Tucson, AZ. Grandchildren: Mia Christ, Jonah Christ, Ann Marie Crump, Ashley Crump. Pamela passed away on June 18, 2016 in Eades, TN. Pam is survived by her 2 children, John Antcliffe and Camille Antcliffe; she also had 7 grandchildren who will all miss her very much.